The market is relieved to hear that the government continues on road of fiscal discipline with Fiscal deficit at 3.4% for FY 20. We have to see how the government will achieve this, but directionally it gives great comfort. 'The honourable FM has done a fine balancing act in his budget speech, with something for everyone, given that this is an election year budget. He has kept the interest of both Bharat and India in mind and announced measures which caters to all. The fiscal deficit of 3.4% for this year in a minor slippage, I am sure the markets will not be too worried about it and infact have responded well. The market is relieved to hear that the government continues on road of fiscal discipline with Fiscal deficit at 3.4% for FY 20. We have to see how the government will achieve this, but directionally it gives great comfort. For Bharat, the Assured Farm Income scheme called PM Kisan Sanman Nidhi, is a good move. Rs 6000 / year for every farmer will cost Rs 75,000 cr and will be 0.26% GDP. The fact that this a DBT scheme also ensures that the money reaches the hands of the farmer. Rs 60,000cr for MNREGA, Rs 3000cr savings through the Ayush Bharat insurance program will help put more money in the hands of Bharat. The social security through pension scheme of Rs 3000 per month for 42L workers in the Unorganized sector is a welcome move for these workers who were deeply affected in the last few years. 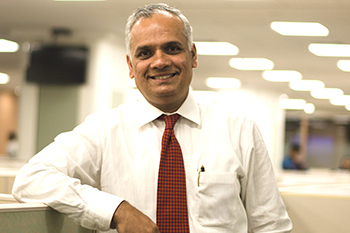 Mahesh Balasubramanian, MD & CEO, Kotak General Insurance.